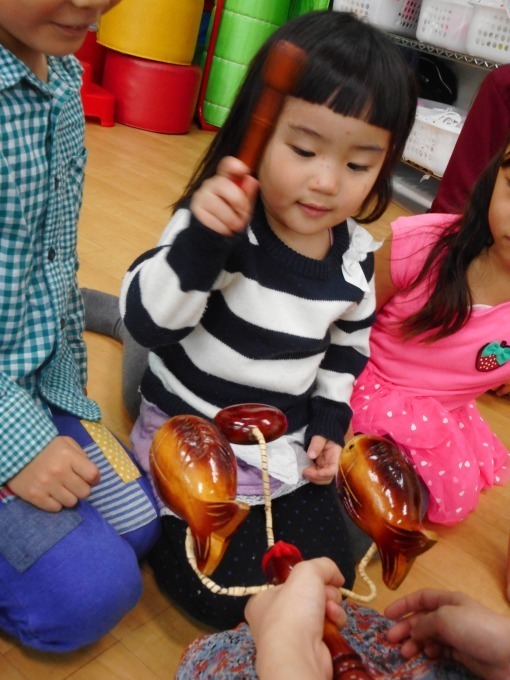 This morning, Caterpillar and Butterfly kids had their music lesson. 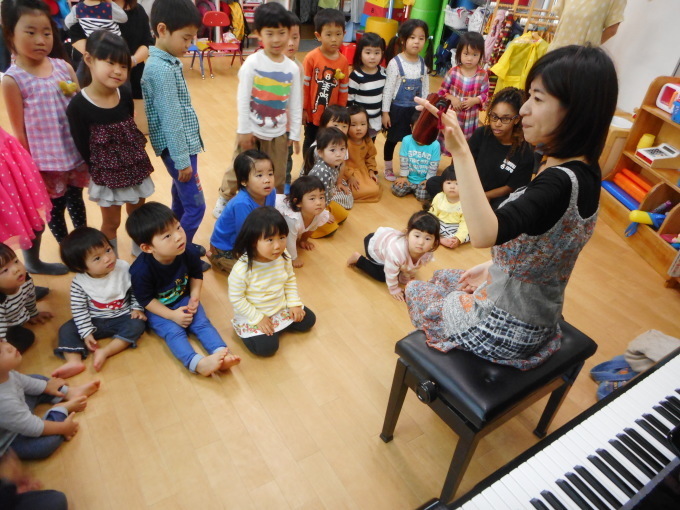 As soon as the teacher started to play the piano, the kids sang together Japanese songs. 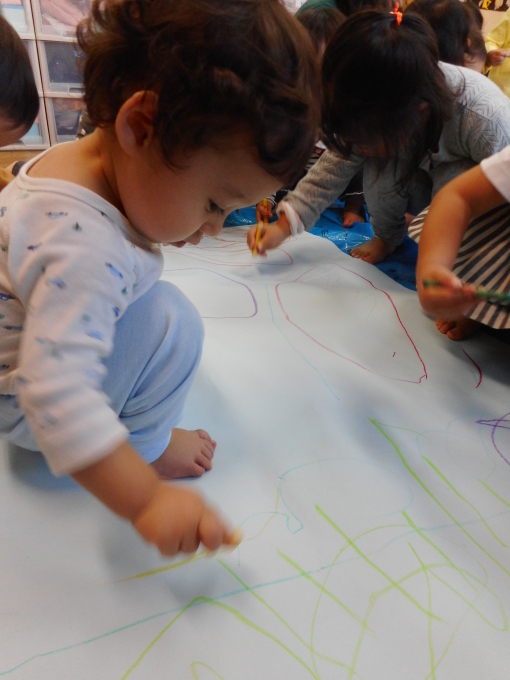 At some point, the teacher asked them to stand up and dance together. 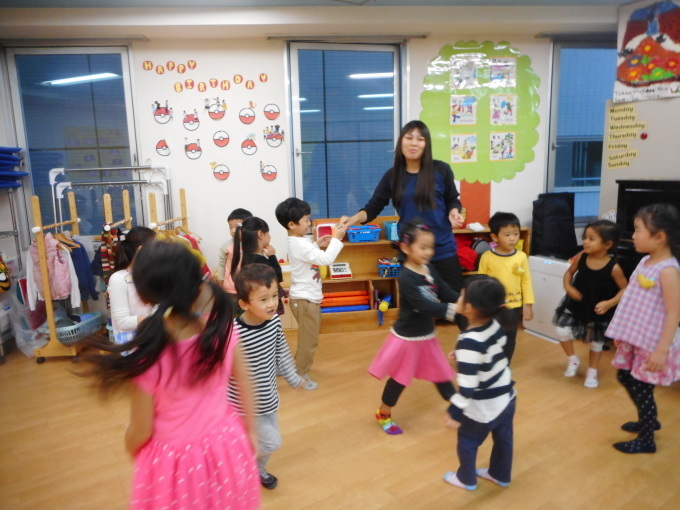 The kids were all smile and looked happy to dance when singing. The teacher also brought for them original musical instruments. Caterpillar and Butterfly kids were curious about them: they listened carefully the teacher's explanations about the instruments and listened attentively to the sound of each one of them.